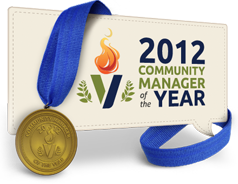 Learn the best way to master the Vitrue SRM platform. 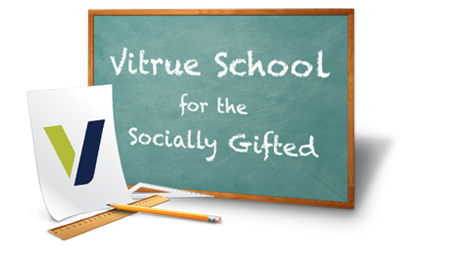 Classes are in session at the Vitrue School for the Socially Gifted – enroll today! Our esteemed institution of higher learning was built for marketers around the world who are ready to learn more about social marketing and the Vitrue Social Relationship Management (SRM) platform. By enrolling, students will learn how to maximize their brands’ ability to customize, publish, moderate and measure all of their Facebook fan and Twitter follower engagements. In addition, students will get the latest insights and research from leading social marketing experts. When this knowledge is combined with the power of the Vitrue SRM platform, students will be able to take full advantage of their brand’s social community. Your social marketing education does not stop once you graduate. The Vitrue School for the Socially Gifted offers a continuing education program that ensures all students stay up to date on the ever-changing world of social marketing. Graduates can learn about every feature upgrade, product enhancement and industry trend from our growing list of continuing education opportunities. Vitrue offers a variety of training options to ensure our customers have the tools and information needed to be successful with maximizing social community management and two-way conversations with fans. You can choose from live web and on-location training or self-serve help. Either way, you decide which method works best for your team and schedule. The live web training sessions are offered on a regular basis. The sessions are one hour in length and focus on initial product training. As Vitrue releases new upgrades and enhancements and your team grows, this is a great opportunity to train and get immediate answers to questions from a Vitrue SRM platform expert. Easily accessible and available any time, Vitrue offers self-service help options online. Self-serve help is great for off hours self-paced training. Need to take it to the next level? You can come to the Vitrue offices for a training course, or we’ll come to your location and train your team on Vitrue’s platform. Courses are tailored to the needs of your brand and team.